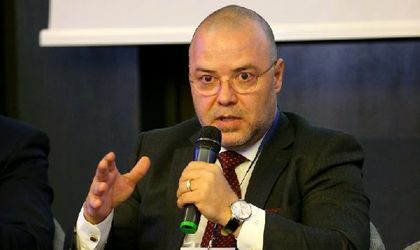 Florin Danescu, the Executive President of the Romanian Banks’ Association (ARB), spoke about OUG 114 and its effects on banks during the Tax & Law Conference hosted by Business Review. Danescu wanted to highlight the events of the past few years that came before the passing of OUG 114, and the fact that banks were blamed for many of the economic issues Romania has faced in the past decade. 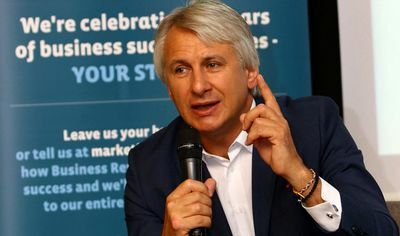 “In 2011, when public sector salaries were cut, banks weren’t able to explain that they weren’t the reason why people were struggling to pay back their loans – we made a mistake then by not changing the public perception and defending our image,” he said, adding that Romania was one of the only countries in Europe where banks didn’t demand any public money. Danescu noted that there have been many instances when the government issued laws “in order to please the public”, but that these laws couldn’t always be implemented or were eventually found to be unconstitutional. “Even though these laws weren’t implemented, they still left deep wounds in the banks’ development plan,” he explained. The ARB President criticised the high number of legislative initiatives related to banks that have been passed in the past few years, and said that their main effect was to increase bureaucracy. “A bank needs to keep any request from clients on paper for 10 years – even if those clients don’t end up taking a loan and just ask a question,” he noted. As for the recent changes that were passed to OUG 114, Danescu said that they “turned the law into a smaller problem, but didn’t make it good”. He also said that new legislation is being discussed that could significantly affect banks, but that the banks do not know whether these laws will really be passed and can’t do anything to prepare. “We’re passing laws saying that we want prices to be similar to those abroad but without changing anything else – how can that be seen as a realistic goal?” he asked. On the subject of the “new ROBOR”, the new method of calculation of inter-bank interest rates, Danescu said that legislators promised the public that their RON loans will have lower interest rates and that existing contracts could be changed and use the new form of the index, but that this comes against the principles of predictability and a free market. “This is something that will become a hazard in the future – some clients’ loans based on the old ROBOR and others using the new form – this index is very technical, but I just want to say that it has nothing to do with risk, as it should – you can’t control a 30-year loan with a transaction index where 80 percent of them are done overnight,” he explained. “The new index might end up being higher than the ROBOR and it might vary from one day to the next – you can imagine the hazard this would cause. People will feel that they have been cheated and they’ll probably blame the banks and see them as adversaries,” Danescu warned. “Banks will seek the revenues they need no matter what, but people will demand lower interest rates from them because this was the promise made by the government,” he concluded.